Joint disease in dogs is a common but serious problem that oftentimes doesn’t have a clear-cut solution. Prescription medications contain additives and chemicals that can cause unwanted side effects including insomnia, nausea, vomiting, upset stomach and fatigue, and they can weaken the immune system, making your dog more susceptible to bacterial, viral and fungal infections. 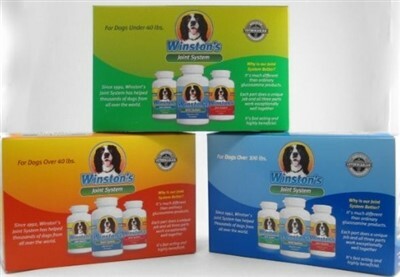 That’s where natural joint remedies for dogs, such as Winston’s Joint System, come in. Winston’s is an all-natural whole food supplement that has been proven to provide long-term pain relief for dogs suffering from arthritis, hip dysplasia, osteochondrosis and other joint problems. Developed by a naturopathic doctor for his own dog, this product is a completely safe method with no chemicals or additives. In fact, it’s so safe that it can actually be used on cats and humans with no negative side effects! Winston’s Joint System is administered in a three-part solution, specifically designed to relieve joint pain and rebuild your dog’s body. The formula is prescribed based on your dog’s weight and should be taken for the entire six-month period in order to allow your dog’s body time to fully regain strength. After the prescribed six-month period, Winston’s can be given as needed. Part 1: (2 capsules) The first part of this supplement system provides essential vitamins, minerals, antioxidants and other ingredients to support healthy bone and joint development. Ingredients: Calcium, magnesium, phosphorus, copper, manganese, zinc, vitamins A, E, C.
Part 2: (1 capsule) This supplement provides essential lubricants necessary for healthy joint function and helps maintain healthy cartilage. Ingredients: Active: ETArol. Inactive: Magnesium Stearate and Stearic Acid. NO sugar, salt, wheat, gluten, corn, soy or milk. Part 3: (1 tablet) The final portion of the Winston Joint System helps alleviate inflammation and pain associated with normal daily activity and exercise. Ingredients: Active: Bromelain. Inactive: Cellulose, Pineapple Juice Powder, Stearic Acid, Magnesium Stearate. NO sugar, salt, wheat, gluten, corn, soy or milk. There are plenty of supplements out there that promise to supply fast benefits, but oftentimes they don’t deliver. Winston’s Joint System does. This supplement provides long-term natural pain relief for dogs, even for those in the late stages of a degenerate joint disease. Although it is recommended that you wait eight weeks to judge your dog’s progress, results are often seen within the first few weeks. Customer reviews for this product echo these sentiments with five-star ratings and testimonies, proving that unlike some supplements, this product works. If your dog is moving more slowly, having a hard time getting up or reluctant to walk, it may be a sign of arthritis, hip dysplasia or another common degenerative disease. When thinking about treatment options, look for Winston’s Joint System in order to give your dog fast and effective relief. 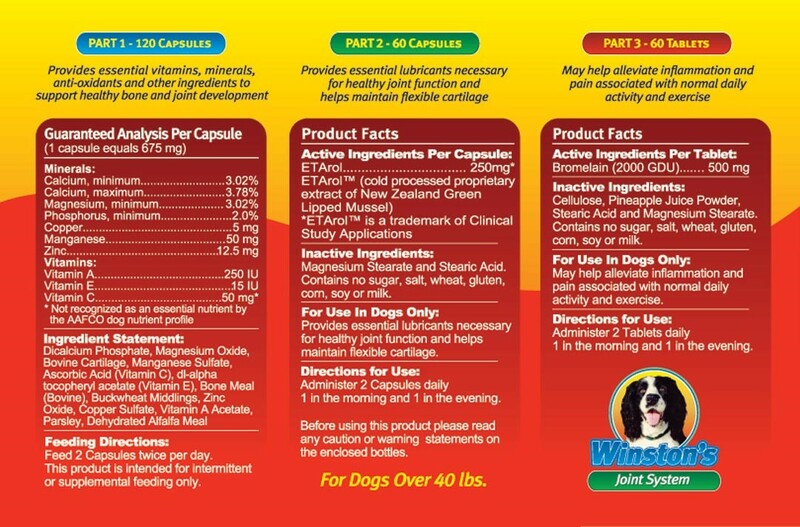 If you’re looking for extra pain relief for your furry companion, pair Winston’s Joint System with Winston’s Pain Formula, which is made specifically to alleviate joint pain and can help with the healing process that Winston’s Joint System provides. 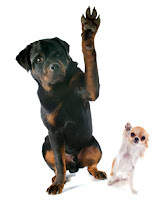 We at Carol’s Pet Café want to help your animals live long, happy and pain-free lives. If you have a success story you’d like to share with us, comment below or leave a review online! 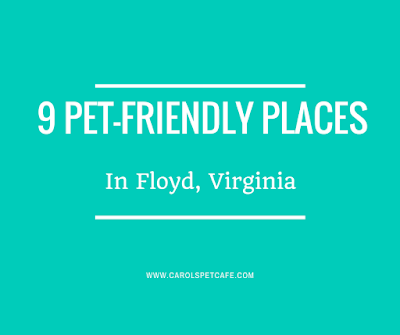 Whether you call Floyd home or you’re planning a visit to or through the beautiful state of Virginia, we know that if you’re a dog owner, your plans naturally tend to revolve around places that allow dogs. 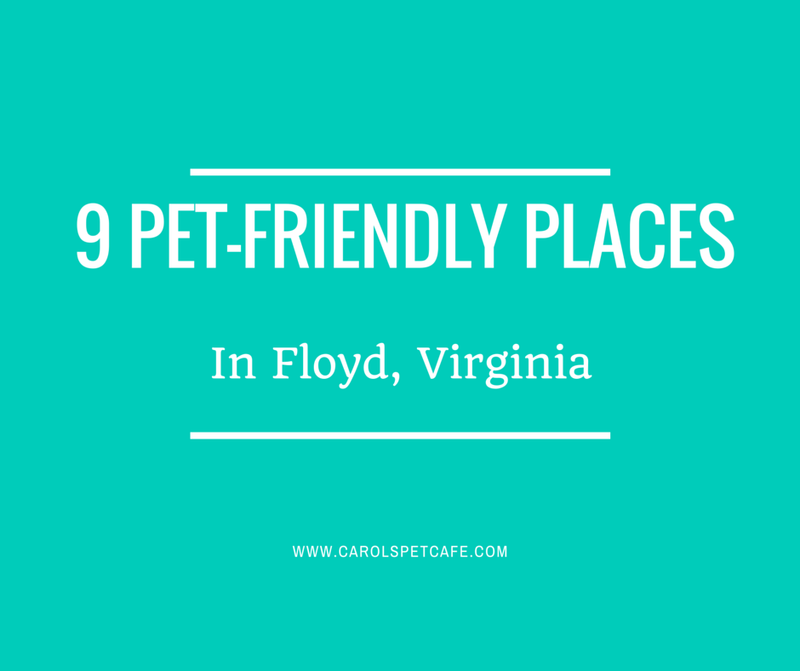 As pet-lovers ourselves, we understand the dilemma of having plans foiled by the dreaded “No Pets Allowed” sign, which is why we’ve thought to compile a comprehensive list of the most dog-friendly places in Floyd, VA.
As the name already suggests, Dogtown Roadhouse is one pet-friendly place. With plenty of outside seating, it’s the perfect place to take your pooch if you’re craving an authentic slice of pizza and a cold pint. Dogtown is known around Floyd for their lively atmosphere and great live music, and residents insist that you don’t miss out on either even if you’re traveling with a canine companion. If you’d rather sit inside with your dog, you’re free to do so, giving Dogtown the number one spot on our list of dog-friendly restaurants for Floyd, VA. 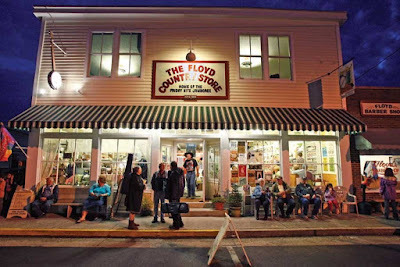 It doesn’t matter if you live in Floyd or you’re just passing through, the Floyd Country Store is a must-stop place for a truly authentic Appalachian experience. The store serves up good food, good music and everything you might need in between nearly every day of the week, and has a great selection of outdoor seating that’ll accommodate you along with your canine friend. Whether you’re looking for a quick lunch or you’re staying late for the Friday Night Jamboree, the Floyd Country Store is one of our favorite places to go with dogs. Bootleg BBQ isn’t your traditional sit-down restaurant, but if you’ve been searching for the best ribs for hundreds of miles in any direction, we encourage you to stop by. 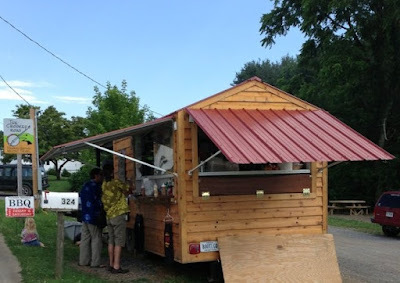 The owners of Bootleg BBQ have been perfecting their recipes for over 30 years and will welcome just about any species. They don’t have much seating, but we can assure you that you and your pooch will enjoy the walk there and back almost as much as you’ll enjoy their ribs. Because these guys are cooking out of a trailer, we recommend that you check out their Facebook page for weather closures and venue changes. We love the Woodberry Inn for its gorgeous surroundings as much as its affordable pet accommodations. The inn features three pet-friendly rooms and is just yards away from many hiking opportunities on the Blue Ridge Parkway. If a relaxed stroll is more your speed, the grounds feature a small lake and several small trails that allow for comfortable morning or evening walks. Because the inn is so conveniently located, staying here will allow you to explore a variety of attractions in the Floyd area even without your dog. Located just 5 miles from the heart of Floyd, Ambrosia Farm is a perfect little getaway that’s as quaint as it is pet-friendly. With plenty of hiking trails nearby, working fireplaces in every room and a gorgeous porch to relax on, your pooch won’t be able to stop wagging his tail. And we know you won’t be able to stop your excitement either. Whether you’re looking to spend time relaxing, hiking, wine tasting or horseback riding, Ambrosia Farm has it all and more! Located just 3 miles from Floyd, the Bent Mountain Lodge Bed & Breakfast is the perfect stay for anyone looking for a room with a view and great pet accommodations. Bent Mountain is home to several of its own dogs and cats and overlooks the Blue Ridge Parkway for a spectacular view you won’t soon forget. The 15,000 sq. ft. lodge features several decks and sunrooms for lounging, access to walking trails and a small leash-free area for your pooch to enjoy unrestricted. You and your canine companion are guaranteed to love it. We know that a big part of owning a dog is knowing that when you’re ready to hit the trail, you’ve got a companion by your side. If there’s one thing there’s no shortage of in and around Floyd, VA, it’s the opportunity for a hike at every turn. 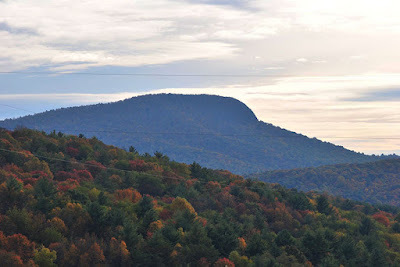 Buffalo Mountain is located about 13 miles southwest of downtown Floyd and features a steep 1-mile hike to the summit. Dogs are always welcome here, but because this area is a preserve they must remain on a leash at all times. 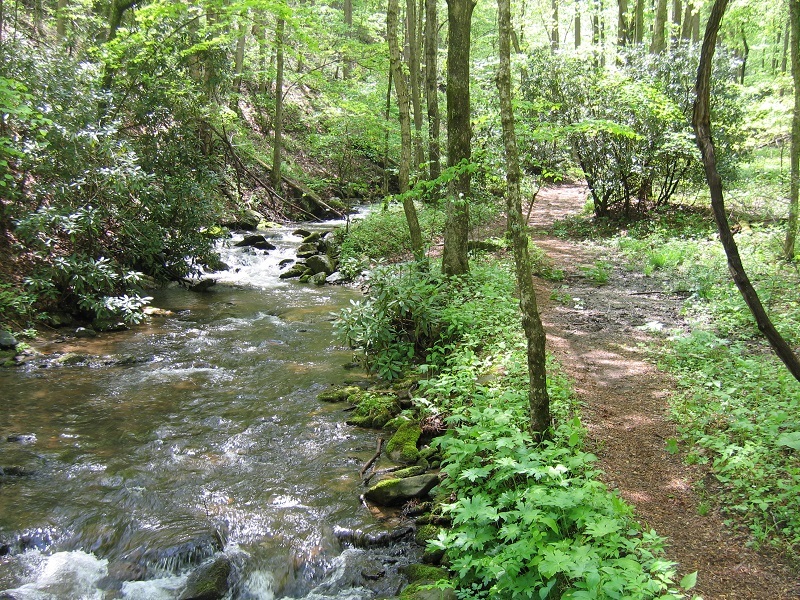 The Rocky Knob Recreational Area covers over 4,000 acres of lush landscape that offers you and your canine friend ample opportunity for walking, hiking, running and camping. The area features several walking and hiking trails at varying lengths, and these range from easy to strenuous. 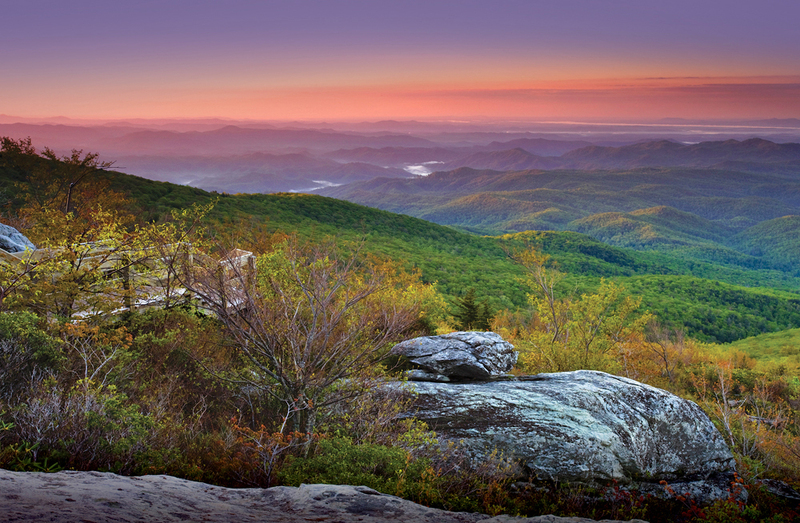 If you’re looking for an outdoor adventure near Floyd, we can’t imagine a more perfect place. Located about 11 miles from downtown Floyd, Rocky Knob is the perfect place for anything from an afternoon stroll to a week-long camping expedition. 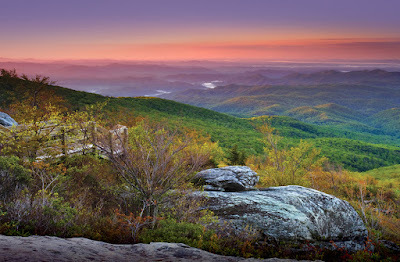 The Blue Ridge Parkway is nearly 500 miles long and covers 146 square miles of scenic country that extends through 29 Virginia and North Carolina counties. Roughly 40 miles of the Blue Ridge Highway runs alongside the southern border of Floyd County. 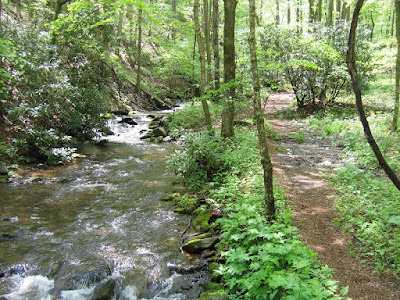 This section includes the Rocky Knob and Smart View Recreational Areas, Rock Castle Gorge National Recreational Area, and Mabry Mill. Whether you’re looking to stay close to Floyd or you and your canine are ready to explore the vast and beautiful expanse of the Virginia countryside, we guarantee you’ll love every stop you make along the Blue Ridge Park Highway. Turns out, Floyd is one pet-friendly city. From a variety of beautiful pet-friendly hotels to restaurants and hiking opportunities, we’re excited to try them all. If you’re thinking of visiting or have any locations to add to this list, we’d love to hear from you. Simply comment below! And remember to keep Floyd and Virginia beautiful by cleaning up after your pet. It doesn’t matter who you are, chances are you love a good massage about as much as the next person. 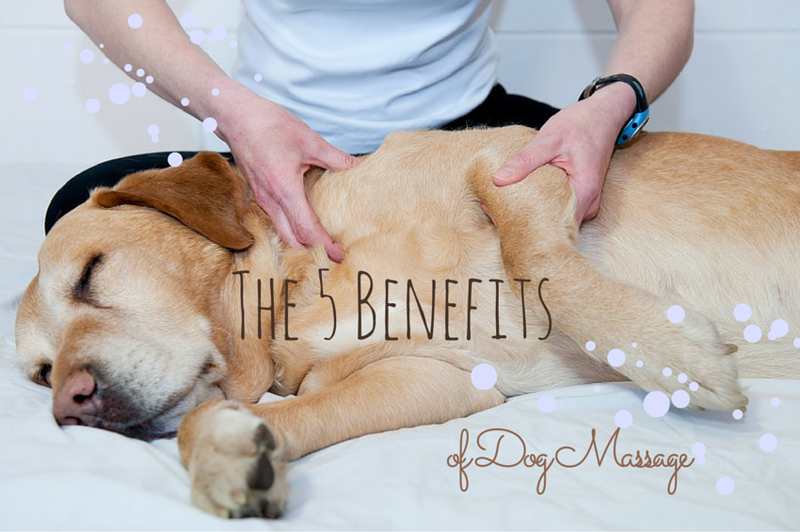 Massage offers a variety of benefits, both emotional and physical, from relaxing your mind to relaxing your muscles, but what about the benefits a massage could have on your dog? Whether this is the first time you’ve considered massaging your dog or you’re already a seasoned pro, we’ve compiled a list of dog massage benefits we think you’ll appreciate. Regardless of whether your dog is old or young, a new friend or a long-standing member of the family, reinforcing an existing or establishing a new bond carries benefits for you both. Through touch, you are able to create and reaffirm a sense of safety while providing a nurturing environment. During massage, your dog will become calm, perhaps even to the point of falling asleep, allowing you to stay in close contact for prolonged periods of time in complete relaxation. But this positive experience doesn’t just benefit one party. According to an older-but-undisputed study, petting a dog results in physical benefits, such as lowered blood pressure, for you as well. So the next time you and your canine are looking for a mutually beneficial activity, simply take a seat, relax and massage. If you’ve ever experienced the relief a massage can provide from physical pain, you’ll be quick to tout the benefits of massage for pain relief, and you’re not alone. According to a study conducted by the Mayo Clinic of Rochester, Minnesota, in which hospital patients were studied to gather information on the effects of massage on pain, the integration of massage therapy with traditional medicine created a significant reduction in pain, improved relaxation, sleep and aided the overall healing process. While no such studies have been performed on dogs, we can assume that at least some of these benefits will be carried over because we share many physiological similarities with our canine companions. So if your dog is experiencing pain from surgery or old age, you might want to consider a massage as part of his or her traditional treatment. While it’s unclear exactly how massage improves recovery, scientists have in recent years been able to shed at least some light on the issue. In a study conducted in 2012, a group of athletes received a massage immediately after engaging in an intense physical activity while another group that engaged in the same activity did not. Both groups were then subjected to a biopsy of their muscle tissues, and the findings were quite astonishing. Massage appeared not only to mitigate the rise of nuclear factor κB, a protein associated with muscle inflammation, it also turned up production of mitochondria in the muscles. Mitochondria, you may remember, is known as the “powerhouse” of the cell and creates vital energy on a cellular level. This combination of effects resulted in less pain and a quicker recovery time for the massaged athletes. And while this study has not yet been recreated in dogs, we know that canines possess both NF kB as well as mitochondria, which gives us good reason to believe that massage is just as beneficial to a dog’s muscle recovery as it is to an athlete’s. For dogs recovering from surgery or for those suffering from the stiffness of old age, massage can be a vital component of everyday living. If your dog’s range of motion has been compromised by surgery, old age or disease, a knowledgeable veterinarian should recommend massage as part of post-operative treatment for , not only in order to regain flexibility and motion, but also to reduce stress, anxiety and pain. While this type of massage is oftentimes not appreciated by everyone because it can be painful, we recommend sticking to your vet’s recommendations for flexibility training. Use massage to warm up the muscle and joint, then gently perform the assigned movements. You won’t see immediate improvements, which is why it’s so important to keep at it. Recovery will happen gradually over time and should never be rushed. While massage will leave you feeling relaxed, it actually gets your blood flowing. According to the University of Minnesota, massage improves blood and lymph circulation, enhancing oxygen and nutrient delivery while aiding in the removal of waste products. Additionally, if your canine is suffering from edema (swelling) due to injury, obesity or old age, massage helps to increase the absorption of excess fluids to reduce swelling. Because lymph collects in soft tissue, it’s important to note that it’s not necessary or beneficial to massage deeply in order to reduce swelling or to improve circulation. A lymph drainage massage is performed by gently stroking the limbs in an upward motion away from the extremity and does not require any deep digging. The benefits of pet massage are seemingly endless, and more scientific discoveries to back up ancient theories are being made more and more often. If you or someone you know have experienced the benefits of massaging your dog first hand, we’d love to hear from you. Simply leave a comment below! This information is not intended to diagnose your pet. If you believe that your dog is suffering from an illness or injury, consult a veterinarian first before beginning any at-home regimen.